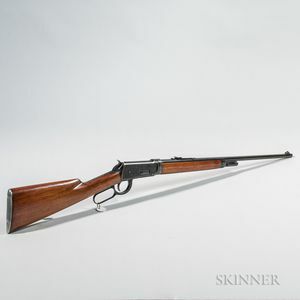 Winchester Model 55 Rifle, c. 1929, serial number 11816, .30 caliber, walnut stock, round tapered barrel marked on the left side "MODEL 55-WINCHESTER-NICKEL STEEL-30 W.C.F.," barrel lg. 24, overall lg. 42 in. 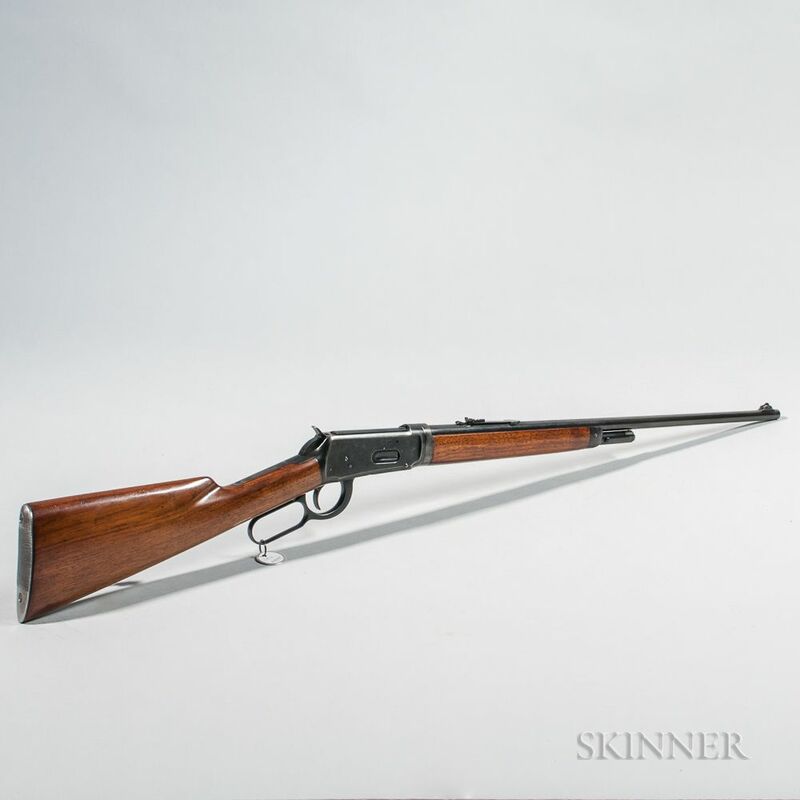 Stock has a few dings and nicks, the barrel retains most of its original blue, and the receiver is a plum/blue color. The action functions properly and the bore is good and bright.